Born 11 Apr 1924; died 21 Jun 1977 at age 53. Born 11 Apr 1899; died 19 Apr 1975 at age 76. Born 11 Apr 1829; died 13 May 1907 at age 78. British meteorologist, eminent in his field, who first noticed what became known as Buchan spells - departures from the normally expected temperature occurring during certain seasons. They are now believed by meteorologists to be more or less random. Buchan is credited with establishing the weather map as the basis of weather forecasting as a result of his tracing (1868) the path of a storm across North America and the Atlantic into northern Europe. Born 11 Apr 1810; died 5 Mar 1895 at age 84. Henry Creswicke Rawlinson was an English archaeologist who, as an army officer, became interested in antiquities after his assignment to reorganize the Persian army. He accomplished the translation of the Old Persian portion of the trilingual mutillingual cuneiform inscription of Darius I on the hillside at Bisitun, Iran. This success provided the key to the deciphering, by himself and others, of Mesopotamian cuneiform script. It was soon learned that the cuneiform system had been used by many different groups and for writing a variety of languages. Semetic speaking Babylonians and Assyrians used the cuneiform for hundreds of years. Rawlinson's work was the result of a breakthrough of many discoveries and provided great insight of human history. Born 11 Apr 1798; died 11 Aug 1854 at age 56. Born 11 Apr 1755; died 21 Dec 1824 at age 69. Died 11 Apr 2013 at age 96 (born 5 Dec 1916). Polish virologist and immunologist who discovered the first vaccine against poliomyelitis which was based on oral administration of attenuated polio virus. In researching a polio vaccine, he decided to focus on the use of live viruses that were attenuated (rendered non-virulent) instead of the killed viruses that became the basis for the injections created by Jonas Salk. Koprowski viewed the live vaccine as more powerful since it entered the intestinal tract directly and could provide lifelong immunity, whereas the Salk vaccine required boosters. Also, taking a vaccine by mouth is easy, whereas an injection is more expensive and needs medical facilities. It was taken by the first child on 27 Feb 1950 and within 10 years was used for immunization on four continents. Died 11 Apr 2005 at age 85 (born 30 Aug 1919). Died 11 Apr 1948 at age 92 (born 4 Nov 1855). Died 11 Apr 1890 at age 27 (born 5 Aug 1862). Died 11 Apr 1875 at age 85 (born 25 Oct 1789). Died 11 Apr 1834 at age 66 (born 3 Sep 1767). Australian agriculturist and promoter who helped found the Australian wool industry, now the world's largest. He was one of the first in New South Wales to obtain Spanish Merino sheep from the Cape of Good Hope (1797). He took specimens of their fleeces to England (1802), wrote a Statement of the Improvement and Progress of the Breed of Fine Woolled Sheep in New South Wales (London, 1803) and was granted 5,000 acres of the best pasture land in the colony, to be increased if tangible results were forthcoming. Each time he returned to England (first for four years and later for eight years) his wife, Elizabeth, was left to breed the sheep, produce the wool, manage workers, bushfires and Aboriginal uprisings, and run a profitable farm. Died 11 Apr 1779 at age 74 (born 3 Sep 1704). 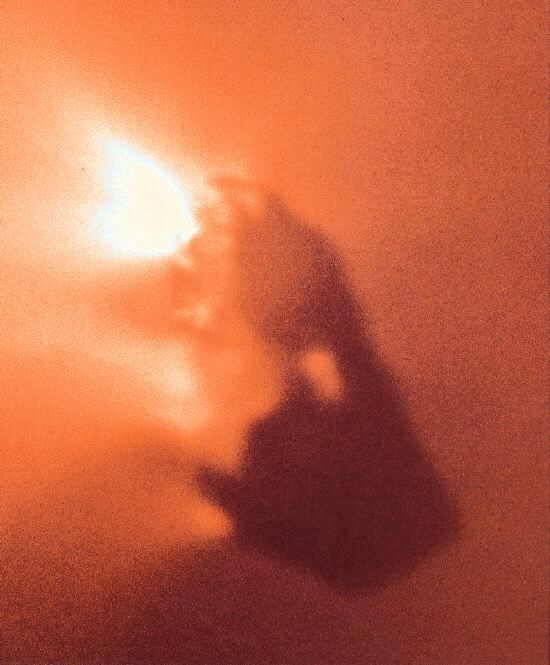 Comet, by Carl Sagan. - book suggestion. In 1982, British explorer Ranulph Fiennes with Charles Burton reached the North Pole during their circumnavigation of the Earth via the Poles circling the earth on longitude 0, the Greenwich Meridian. They had reached the South Pole sixteen months earlier during their journey across Antarctica - which took 67 days and despite the advantages of motorised skidoos, it was still an arduous and dangerous challenge. The ocean voyage was undertaken in a craft named Benjamin Bowring. Beginning in 1979, the 52,000-mile "Transglobe" expedition took three years and cost an estimated $18 million, but it became the first circumnavigation of the world's polar axis, ending on 29 Aug 1982. Beyond the Limits: The Lessons Learned from a Lifetime's Adventures, by Ranulph Fiennes. - book suggestion. 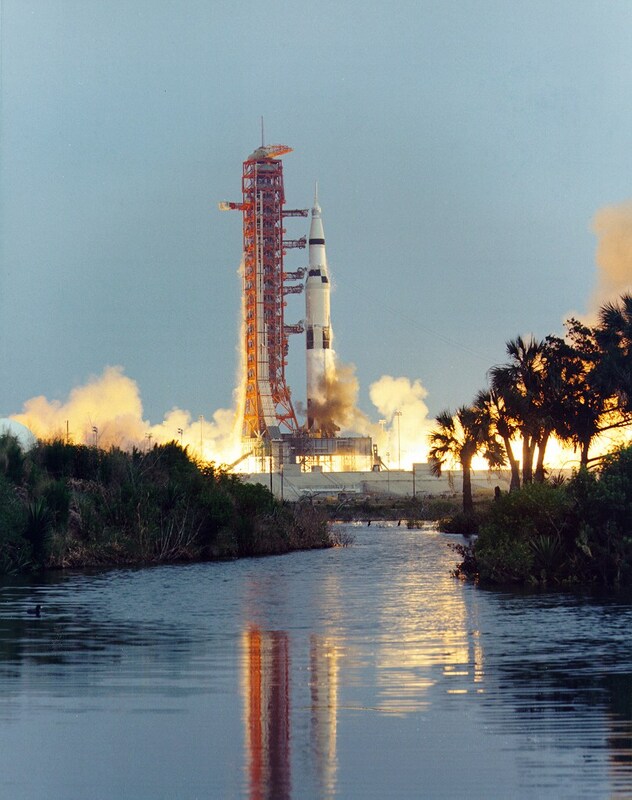 In 1970, Apollo 13, the third manned lunar landing mission, began with the successful launch of the spacecraft Odyssey from Cape Canaveral with crew James Lovell, Fred Haise, and John Swigert. Two days later, on 13 Apr disaster struck 200,000 miles from earth. A liquid oxygen tank exploded, disabling the normal supply of oxygen, electricity, light, and water. Swigert reported: “Houston, we've had a problem.” The lunar landing was aborted. After circling the moon, the crippled spacecraft began a long, cold journey back to earth with enormous logistical problems in providing enough energy to the damaged fuel cells to allow a safe return. On 17 Apr, with the world anxiously watching, tragedy turned to triumph as the Apollo 13 astronauts touched down safely in the Pacific Ocean. Apollo 13: Anniversary Edition, by Jeffrey Kluger. - book suggestion. In 1957, a Ryan X-13 Vertijet became the first jet to take-off and land vertically. The airplane made history when it completed a first full-cycle flight at Edwards Air Force Base, California. It took off vertically from its mobile trailer, rose into the air, nosed over into a level attitude, and flew for several minutes. It then reversed the procedure to vertical flight and slowly descended to its trailer for a safe landing. The X-13 was designed to test the idea of vertical takeoff, transition to horizontal flight, and return to vertical flight for landing by jet aircraft. Equipped with a temporary tricycle landing gear, it was flown conventionally on 10 Dec 1955 to test its overall aerodynamic characteristics. It was then fitted with a temporary "tail sitting" rig and on 28 May 1956, flown from the ground in a vertical position to test its hovering qualities. In 1952, Parkinson's disease was successfully treated with surgery for the first time. A team led by Irving Cooper in Islip, N.Y. operated on the brain of patient Raymond Walker. Before the general availability of L-dopa in 1968, the treatment of Parkinson's disease stressed surgery. An early procedure of choice was the pedunculotomy, to reduce tremour. While performing this procedure in 1952, he inadvertently interrupted the patient's anterior choroidal artery (AChA) and was forced to ligate the artery and abort the pedunculotomy. When the patient awoke from anesthesia, his tremour and rigidity had disappeared, and his motor and sensory functions were preserved. Cooper then began to ligate the AChA purposely to reduce tremor in patients. In 1943, Frank Piasecki, Philadelphia engineer and Vertol founder, flew his first (single-rotor) helicopter, his PV-2 model, the second successful American helicopter to fly. It weighed just under 500kg and was powered by a 90hp Franklin flat-four engine. It had a three-blade articulated rotor with folding blades. Frank Piasecki was the holder of the first Helicopter Pilot's License. He formed the PV Engineering Forum in 1943 to develop practical rotorcraft. With the PV-3, Piasecki turned his attention to the more ambitious field of large military helicopters of a tandem-rotor design. (Igor Sikorsky, a Russian-born engineer in Bridgeport, Conn., piloted the first successful flight in 1939). In 1900, the U.S. Navy acquired its first submarine, a 53-foot craft designed by Irish immigrant John P. Holland. Propelled by gasoline while on the surface and by electricity when submerged, the Holland served as a blueprint for modern submarine design. By the eve of World War I, Holland and Holland-inspired vessels were a part of large naval fleets throughout the world. Ebenezer Kinnersley - Franklin's Friend, by J. A. Leo Lemay. - book suggestion.